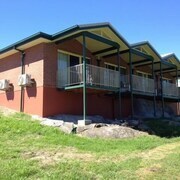 It is a very quite motel, minimal traffic noise makes for a great nights sleep. Fresh cooked meals, friendly service. A great place to stay. 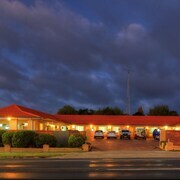 Which hotels are closest to the Tenterfield airport? 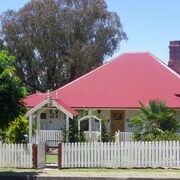 Where to stay near top Tenterfield attractions? 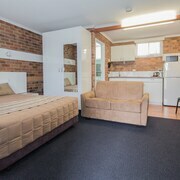 What kind of hotels are in Tenterfield? 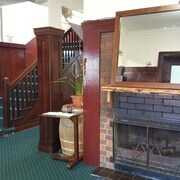 Which hotel chains are in Tenterfield? 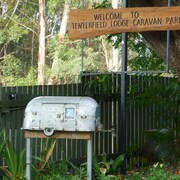 Visitors can enjoy all that Tenterfield has to offer including the parks, golf courses, and spas. Tourists can also enjoy all the city has to offer including its museums. 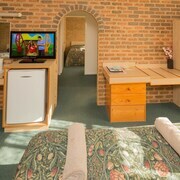 In Tenterfield, there are 16 hotels and other accommodations to choose from. 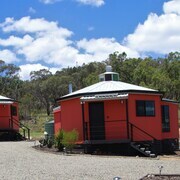 The city's cultural venues include The Sir Henry Parkes Museum and Tenterfield Railway Museum. The city's natural beauty is on display at Tenterfield Showground Park, Boonoo Boonoo Falls, and Mount Mackenzie Nature Reserve. Additionally, you might want to add Tenterfield Golf Club to your agenda. 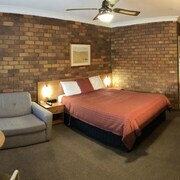 Tenterfield Golf Club Fairways Lodge - With a stay at this 3.5-star motel, guests can enjoy access to a golf course and a restaurant, along with a private balcony. Golfers Inn - This 2.5-star motel features free WiFi, free parking, and 24-hour room service. 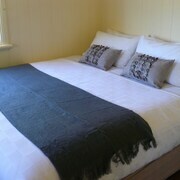 Jumbuck Motor Inn - Amenities at this 3.5-star motel include free WiFi and free parking. Expedia customers like its helpful staff and comfortable beds. In northeastern New South Wales, about 275km southwest of Brisbane in the area known as New England, lies the inviting town of Tenterfield. 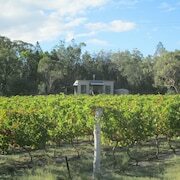 With a population of just a few thousand, Tenterfield is known for its nearness to many popular spots on the road between Sydney and Brisbane. The town serves as an excellent waypoint for travellers and has a rich history dating back to the mid-19th century. Bald Rock National Park is among the region’s top destinations and shouldn’t be missed by bushwalkers. Explore the untouched lands and see what else the area has to offer when you stay at any of our hotels or motels in Tenterfield. 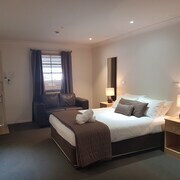 Whether you’d prefer a room in one of the modest Tenterfield motels or maybe something more plush at any of the 3-star hotels in Tenterfield, it’s easy to book a room you love at a price that fits your budget. 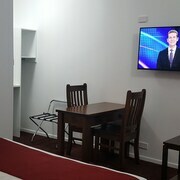 And since a majority of the lodging options are located on New England Highway, you won’t be far from the action no matter where you stay. Flying to Tenterfield? Depending on where you’re travelling from, you’ll likely arrive at the airport in Brisbane, Ballina Byron, Coolangatta, or Armidale. If you’re touching down in Brisbane or along the Gold Coast, the drive to Tenterfield is loaded with breathtaking vistas. If you’d rather take public transport, there are several bus systems that travel to Tenterfield. And if you’d rather sit behind the wheel yourself, it’s easy to arrange car hire no matter where you land. 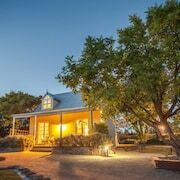 If you’re itching to spend some time in Tenterfield, Expedia.com.au can help you find the best lodging deals in this part of NSW. Our cutting-edge search tool is simple to use, but sophisticated enough to show you rates on all Tenterfield hotels in just seconds. 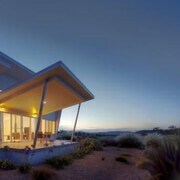 See for yourself how easy it is to find the resort of your dreams when you start your search today. 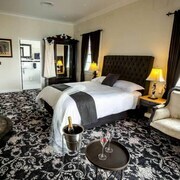 What are the most popular hotels in Tenterfield? 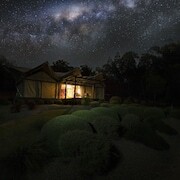 Are there hotels in cities near Tenterfield? 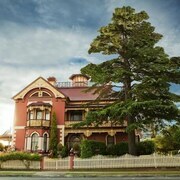 Explore Tenterfield with Expedia.com.au’s Travel Guides to find the best flights, cars, holiday packages and more!